Find the surface area of the following half-cylinder. 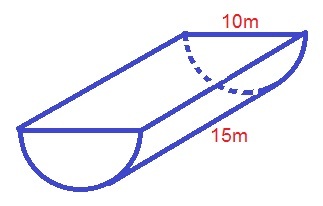 where is the radius of the base and is the length of the height, and is the diameter of the base. Find the surface area of the following polyhedron. where is the radius of the cone, is the slant height of the cone, is the radius of the cylinder, and is the height of the cylinder. 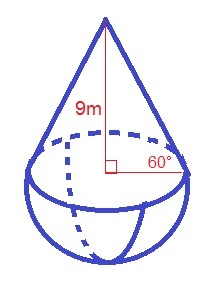 where is the radius of the polyhedron and is the slant height of the cone. Find the volume of the following half cylinder. where is the radius of the base and is the length of the height. Find the volume of the following polyhedron. 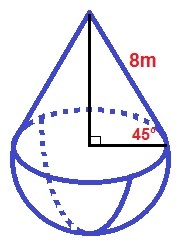 Where is the radius of the cone, is the height of the cone, and is the radius of the sphere. 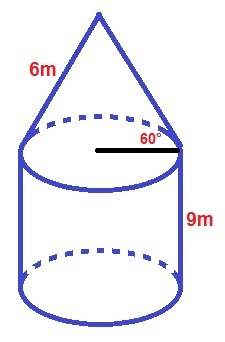 where is the radius of the cone, is the height of the cone, is the radius of the cylinder, and is the height of the cylinder. where is the radius of the polyhedron and is the height of the cone. Christopher Newport University, Bachelor of Science, Mathematics. Georgia State University, Bachelor in Arts, Journalism.